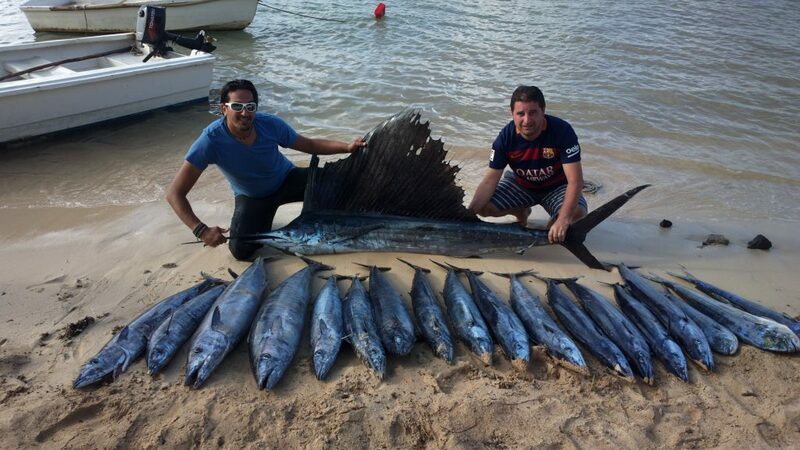 Big Game fishing trip With Le Performant Fishing Club – 47″ – 55″ – 40″ feet boats – Half Day – Mauritius north coast. Exclusive Half Day Deep Sea Fishing activity on all our boats in the deep seas off the north of Mauritius. A Half Day activity starts as from 7:00am – 12:30pm of adventure and fun on our fishing boats, ideal for 1 to 3 anglers and can accommodate up 5 to 12 passengers according to the dimension of each vessel respectively. Le Performant Fishing club is one of the best fishing club in Mauritius and is starting to make its name in the Indian Ocean since we practice local and St-Brandon & Soudan Bank trips. The Club offer the finest Big Game Fishing grounds in Mauritius. Our main services are Big Game Fishing and excursion by sea. Visit the most attractive locations on the north coast. Captain Nimalen, each day, will ask you what species you would like to target and he will give you his advice on if it’s a good day to target your choice of species or suggest another to target, but it is down to you what you want to fish for. Please contact us with your requirements and we can tailor a package to suit.